This Sunday I am starting a new sermon series at the Church I lead. 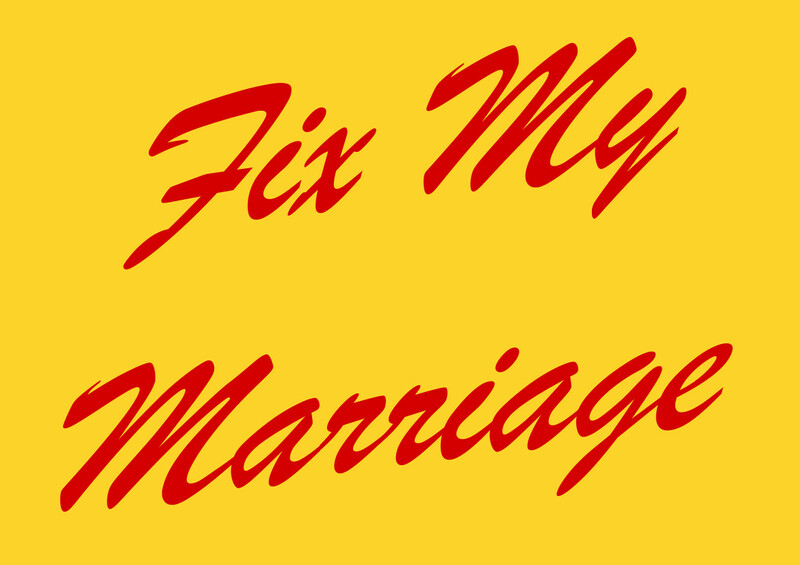 It is entitled “Fix My Marriage.” My approach for the series is to walk through the process I use for counseling people with marital problems. Over the next four weeks, I will look at the basics principles for getting your marriage back on track. Let me be honest with you; I hate preaching on marriage. I despise it not because I dislike the topic. It is because during a series like this I feel like a hypocrite. I know I will say things for other people to do that I do not effectively complete in my marriage. Many years ago, I decided that it was okay to preach sermons on things I have not mastered. If I only speak about topics I am doing; then I can run the risk of making people in my image and not in the image of Jesus. I need to speak on topics that the Bible addresses even when I am not perfect in acting them out in my life. The next four-week I will be trying to help marriages in our Church and community. If you live nearby, we would love for you to join us. I hope to share with you and some steps to making your marriage work better. My marriage is not perfect, I am working to improve it, and I hope you will join me on this journey.